We are buyers, processors, brokers, dealers and exporters of non-ferrous, ferrous and precious metals. Read below to learn about how we can assist you. 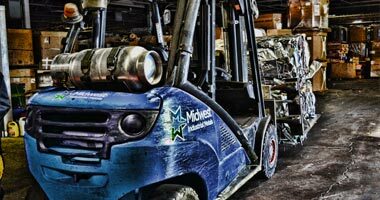 Midwest Industrial Metals has been a specialist in Copper, Brass, Stainless Steel, Aluminum, Nickel Alloy, Insulated Copper Wire, Steel, E-Scrap, Tool Steel, Tungsten, Carbide, Titanium, Zinc/Die Cast and more since 1981. Call us today at (773) 202-8202 for more information. We offer a comprehensive line of equipment for your scrap metal removal projects including: Van Trailers, Open Top Gondola Trailers, Flat-Bed Trailers, Roll-Off Containers, Luggar Boxes, Self-Dumping Hoppers and Custom Tote Boxes.